All Inclusive, 5 star Hotel, nine events and excursions. 2019 will be the 7th consecutive year that this event has been successfully running, and a milestone is to be met whilst we celebrate in the sun, party in the sands and drink cocktails like we’re film stars. There’s a a massive line up of some of the best reggae artists, sound systems and DJ’s. Price starts from £1.798 per person for seven days. Info and bookings: Info 020 8904 9931 . 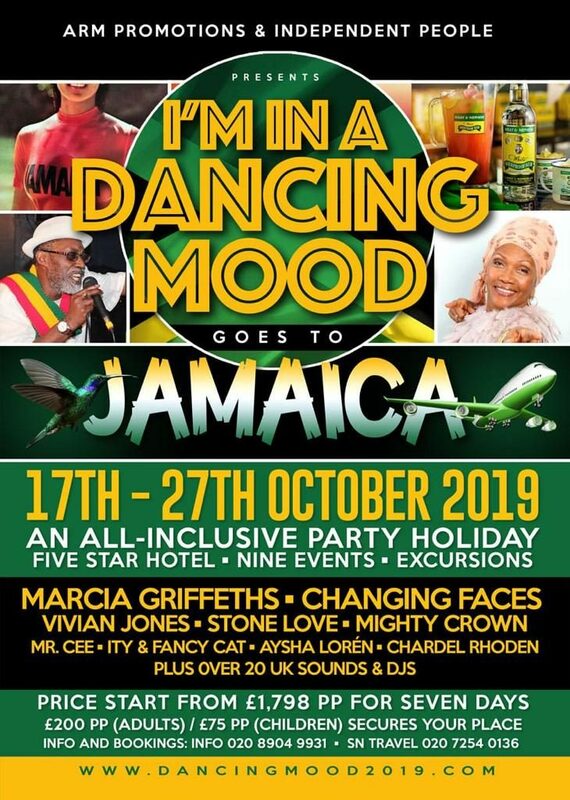 SN Travel 020 7254 0136 or visit www.dancingmood2019.com It’s a huge event and if you’ve not been to one yet, don’t miss this one!